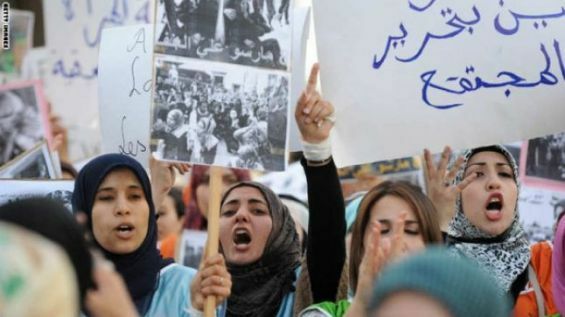 Morocco is ranked 137th by the recently issued World Economic Forum report, the Global Gender Gap. Although the kingdom managed to better its positioning and score compared to last year, it remains one of the least performing countries in North Africa. Morocco is at the bottom of the ranking provided by the 2018 Global Gender Gap Report. The survey issued Tuesday, December the 18th, by the World Economic Forum ranks the Kingdom 137th among 149 countries in the world. Scoring 0,607 on a scale from 0.0 to 1.0 point, the country remains one of the worst performing states in the region. Indeed, Morocco is ranked 9th in the MENA region headed by Tunisia 119th, the United Arab Emirates 121st, Kuwait 126th, Qatar 127th, Algeria 128th, Bahrain 132nd, Egypt 135th and Mauritania 136th and ahead of Jordan 138th, Oman 139th, Lebanon 140th, and Saudi Arabia 141st. In the Maghreb region, the Kingdom is positioned 4th behind, Tunisia 1st, Algeria 2nd and Mauritania 3rd. The report published annually since 2006, tracks countries performances based on four sub-indexes. Measuring the Global Gender Gap, the survey indicates that Morocco is 141st in the Economic Participation and Opportunity scoring 0,404. According to the Global Gender Gap, Morocco sees «continued progress in the Economic Participation and Opportunity sub-index, driven by increased wage equality». Meanwhile, the North African Kingdom is ranked 117th in the Educational Attainment sub-index with 0,942 points. To the authors of the survey, Morocco is among the «eight countries that have reduced their gaps by at least 2% this year» in the abovementioned sub-index. The kingdom is rated 135th for Health and Survival attaining 0,963 points. For the Political Empowerment sub-index, Morocco is 102nd with 0,117 points as a score. Although Morocco is at the bottom of the regional ranking, it managed to better its performance in two major sub-indexes, including the educational and economic ones. The Global ranking is topped by Iceland 1st, Norway 2nd, Sweden 3rd, Finland 4th, and Nicaraga 5th. Chad 145th, Syria 146th, Iraq 147th, Pakistan 148th and Yemen 149th are at the bottom of the ranking. According to the authors of the survey, «the Middle East and North Africa region continues its progress from last year, with a remaining overall gender gap of less than 40% for a third consecutive year». For them, «the region continues to rank last globally on the overall Index, behind South Asia».